Impressive and luxurious, The Metropolitan in Bellevue, Washington presents a wonderful real estate option for homebuyers interested in buying a new condominium home in Bellevue, Washington. Conveniently located close to all that the exciting community of Bellevue offers, The Metropolitan is sure to entice a variety of homebuyers interested in indulging in abundant amenities and deluxe features. 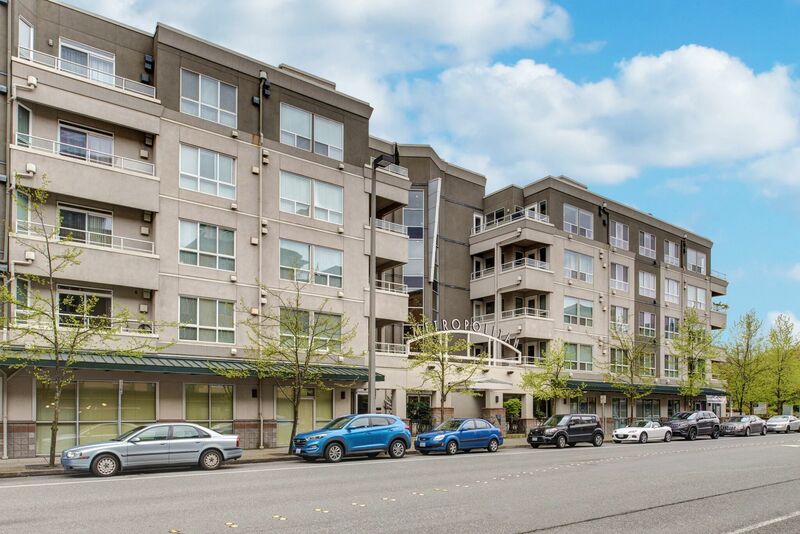 Located at 925 110th Avenue Northeast in Bellevue, Washington, The Metropolitan is an inviting condominium complex offering homebuyers a great option when considering the condo options in Bellevue. Buy a new condo home in The Metropolitan and revel in all the condo homes and Bellevue community offers. While The Metropolitan is undoubtedly striking and exciting, the available amenities are simply marvelous. Boasting proximity to abundant shopping, dining, and entertainment, The Metropolitan presents homebuyers with the opportunity to indulge restaurants such as Firenze Restaurant Italian or Navilhos Brazilian Steak House. Buy a new condo home in The Metropolitan and look forward to shopping at Lincoln Square or Marketplace at Factoria, two sprawling malls offering numerous shops to explore. Outdoor enthusiasts will enjoy Meydenbauer Beach Park, and Mercer Slough Nature Park, which offer activities such as fishing, swimming, and canoeing. The amenities close to The Metropolitan are plentiful and diverse, giving homebuyers with many different interests the opportunity to enjoy their new community and condo home. In addition to first-rate amenities, the condominiums in The Metropolitan are filled with luxury, space, and deluxe features. Available options The Metropolitan offers include stunning kitchens with state-of-the-art appliances and gorgeous countertops, amazing views from private decks, hardwood floors, and abundant natural light. Condo homes in the Metropolitan offer spacious floor plans and a variety of sizes, ranging from 845 square feet to 1,237 square feet, with 1 and 2 bedroom units available. The Metropolitan provides homebuyers with any living space need a great opportunity to own a new condo home in Bellevue. Those interested in taking advantage of the incredible real estate opportunities that The Metropolitan in Bellevue, Washington presents should not hesitate to contact us today for more information or with any questions regarding the available condo homes located in The Metropolitan.